This show is now sold out. Occasionally we may get returns, contact our Box Office on 020 7645 0560 to be added to our waiting list. During the long, cold winter, Mr Penguin carefully guards his egg. Now this new dad needs to look after his newly born chick on his own and he’s not feeling confident. How will father and baby work it out together? A gorgeous, engaging and highly visual show by Filskit Theatre, the makers of Breaking the Ice (2015), whose signature style features playful and innovative projection and sound. This is a heart-warming tale about a child and parent learning how to thrive in spite of the odds. Family & Friends offer from 20 Nov: Buy 4 tickets and save 15% (must include 1 adult / child ticket and excludes other offers). Create a pair of Penguin Pals straight after Huddle to keep you company on the waddle home. If you would like to attend a Relaxed performance of Huddle that appears to be sold out, do contact the Box Office as we try to hold tickets for access bookers. If you are attending a relaxed performance, you may find the Huddle Visual Story helpful ahead of your visit. 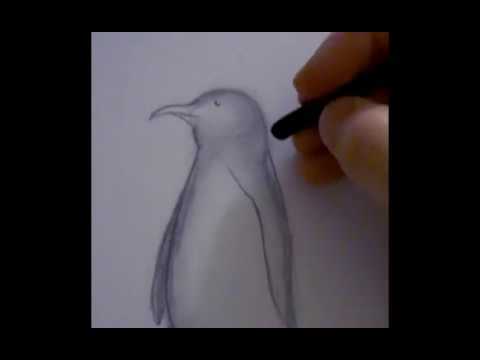 Animator Ioanna Varsou, does a quick sketch of one of our penguins.